Your vehicle’s axle is the shaft that allows the wheels to rotate. This axle connected to the front and rear wheels to the gears in the transmission. The Transmission Technicians in Massapequa are the experts at restoring safe and effective performance from your wheel rotation. Any abnormal function of your axle will compromise your vehicle’s driveability. When axles are unable to receive power from the transmission gears they are unable to rotate the wheels. There are several parts of axles that require our experienced technicians to provide maintenance and repair services. Our experienced technicians can diagnose any axle malfunction and restore their operation to their original condition. The repair needs could be torn boots, lack of lubrication, CV joint breakdown, and more. We reveal the true condition of the axles to vehicle owners, and provide any necessary repairs and maintenance to restore optimal performance. An axle replacement is not always necessary, but our experts are able to perform the maintenance service that can prevent axle breakdown. Proper lubrication of stops dirt and grime from compromising the CV joints. When individual components of the axle breakdown, it is usually necessary to replace the entire axle. Our axle repair services are thorough and complete, making sure your vehicle meets all factory specifications. We can also perform any road tests or safety inspections after your axle repairs. Your vehicle will receive the best quality of axle services in this area. If you notice any noises coming from your vehicle’s wheels whenever you make a turn, or any vibrations while driving, bring us your vehicle for a thorough inspection. Schedule Your Axle Services Today! 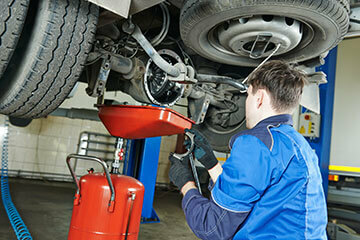 Our team of transmission repair experts are here to provide you top quality axle repair services. The sooner you bring us your vehicle the sooner we can return you to safe road travel. Give us a call today at 516-882-3707 to schedule your next appointment!